This class has a maximum of four students per session, so you will always get ample time with the instructor(s). We teach the three most important two-handed casts: the single spey, double spey and snake roll. 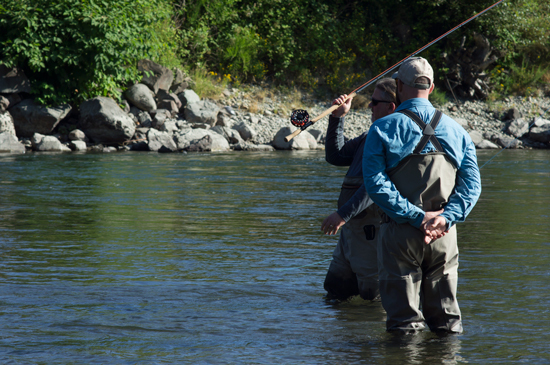 If you are just starting out, we recommend the single spey and double spey, or just focus on the single spey. Your instructor, Brian Styskal, gives you the right amount of feedback and wants you to succeed! 2-4pm Snake Roll and beyond! 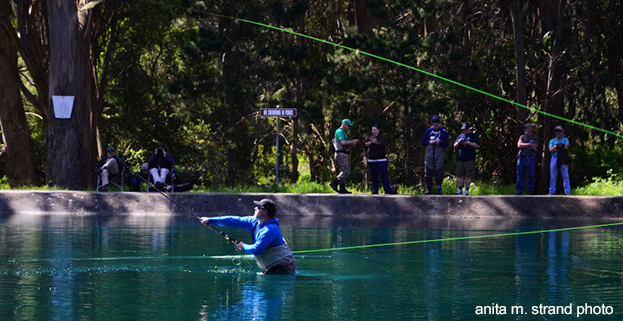 From Brian, "My approach to teaching Spey casting is really quite simple. Everything starts with a foundation of the basic principles. I'm building on principles that are hundreds of years old which fit perfectly into modern two handed casting. I tend to stay away from teaching particular casting styles and focus on teaching solid technique that will work with any rod or line a student will cast. By focusing on solid technique with touch and go casts it's easy for the student to transition in to sustained anchor casts and use them to their advantage." I have always believed that the most versatile caster has the greatest potential in finding salmon and steelhead in a river environment. Being able to adjust to the conditions that we are given is what puts the odds in our favor as anglers. As an instructor my goal is to give the student the tools they will need to become a more successful angler, and the ability to use a wide verity of different lines and rods on all rivers. Let's never forget, learning to cast well as an angler is the one thing we can all achieve with a little practice. It will pay huge dividends when you make that perfect cast and it was thoughtless as your enjoying being immersed in a beautiful place." Join our instructors for an intensive day of winter steelhead fishing and instruction on the Skykomish or Skagit river. This is an opportunity to gain first hand knowledge from veteran steelheaders and improve your success on the water. The winter steelhead learning curve is a steep one, and a day spent in a focused educational environment will accelerate your skill set and increase your confidence. - Improve your casting with weighted flies and sink-tips. - Refine your presentation skills with the two handed rod. - Learn to recognize fish holding water and the appropriate approach to that water. - Join an open discussion on equipment and flies for pursuing these fish. 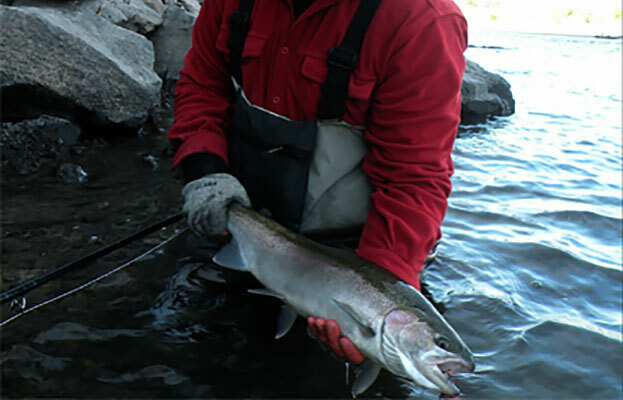 This is a unique opportunity to learn about winter steelhead angling from experienced instructors and guides, on the water and in the elements. Coffee, snacks and a hot lunch will be provided. We will have a large selection of two-handed rods and matching lines for you to demo.